Editor’s Note: We updated this article for 2019. This is our third time ranking the most diverse places in Kentucky. There are parts of Kentucky where there’s a high level of diversity — where people of all walks of life come together. We decided to shine a light on those places today. Using a standard measure of diversity, we ranked all 78 cities in Kentucky from most to least diverse. So what city is the most diverse in Kentucky? According to the most Census data, Radcliff took the number one over all spot for diversity in Kentucky. Read on below to see how we crunched the numbers and how your town ranked. To see where Kentucky ranked as a state, we have a ranking of the most diverse states in Ameria. We still believe in the accuracy of data — especially from the census. So that’s where we went to get the breakdown of race across Kentucky. We limited our analysis to non-CDPs with a population greater than 5,000 people. That left us with 78 cities. We then calculated the HHI for each city by finding the racial breakdown of a city in percent terms, squaring them, and then adding the squares together. This left us with scores ranging from 3,781 (Radcliff) to 9,588 (Cold Spring). Finally, we ranked each city based on the HHI with a lower score being more diverse than a high score. Radcliff took the distinction of being the most diverse, while Cold Spring was the least diverse city. 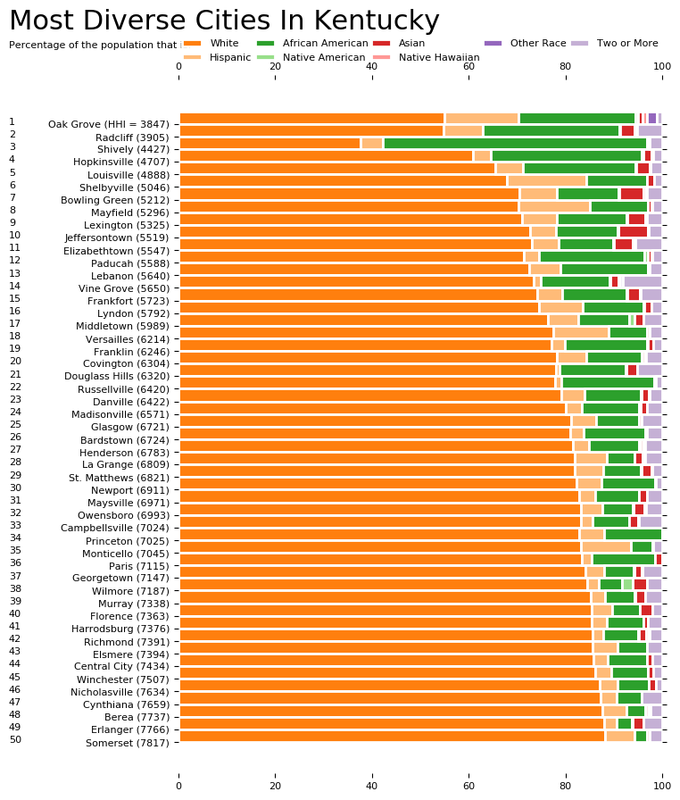 Read on for more information on how the cities in Kentucky ranked for diversity or, for a more general take on diversity in america, head over to our ranking of the most diverse cities in America. Radcliff is a home rule-class city in Hardin County, Kentucky, in the United States. The population was 21,692 at the 2010 census, and in 2016 the estimated population was 22,490. 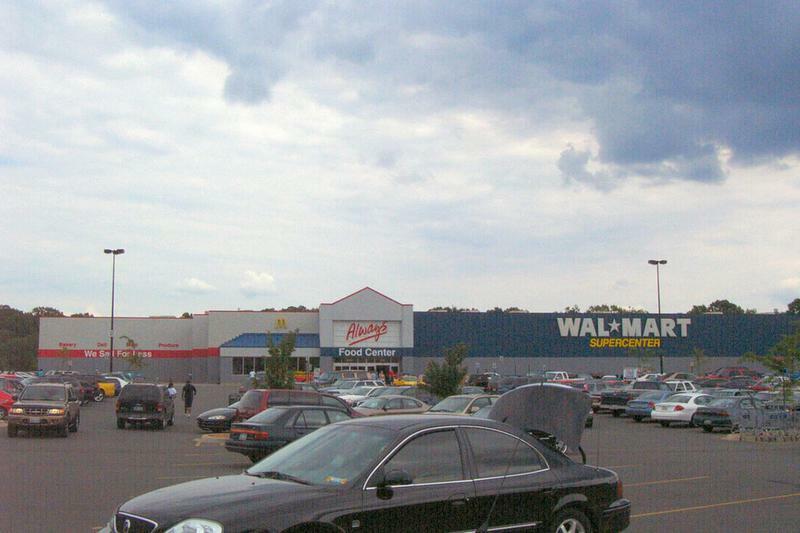 It is included in the Elizabethtown-Fort Knox Metropolitan Area. 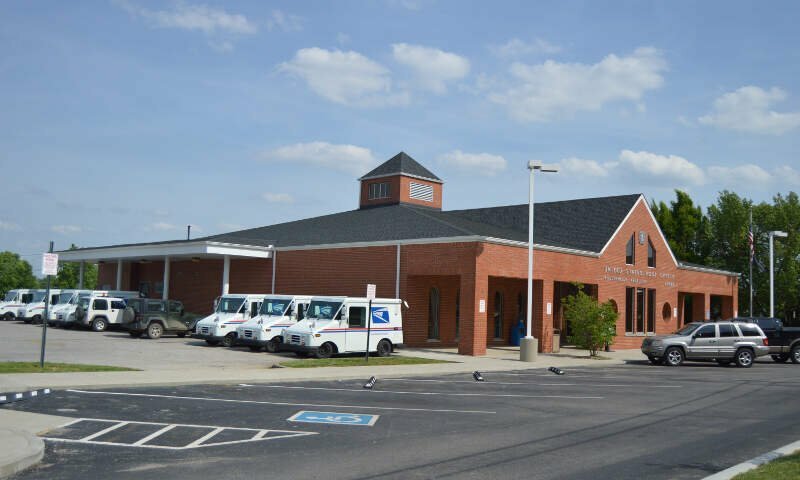 Oak Grove is a home rule-class city adjacent to the Fort Campbell army base in Christian County, Kentucky, in the United States. The population was 7,489 as of the 2010 U.S. Census. 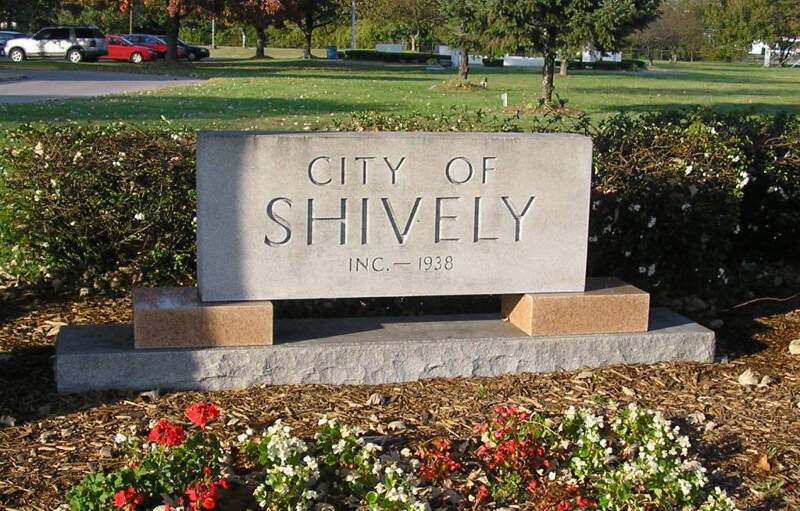 It is part of the Clarksville, Tennessee metropolitan area. 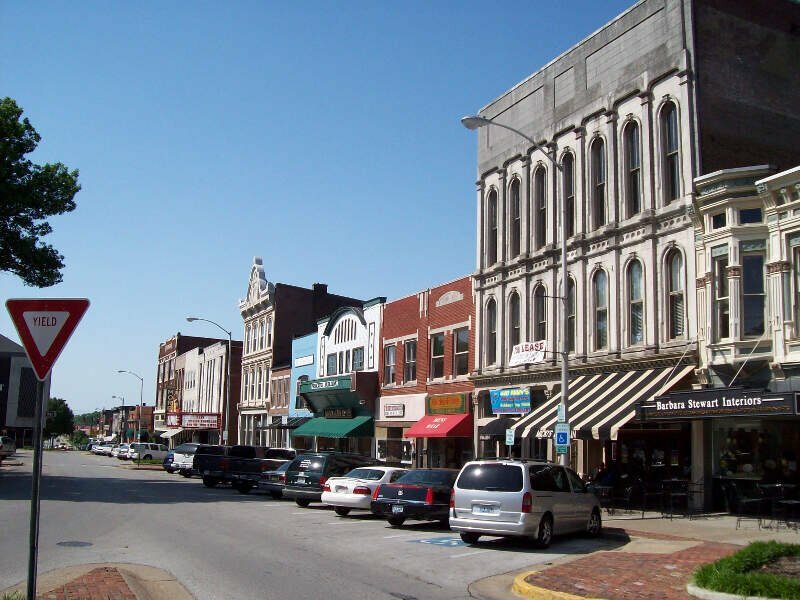 Hopkinsville is a home rule-class city in and the county seat of Christian County, Kentucky, United States. The population at the 2010 census was 31,577. 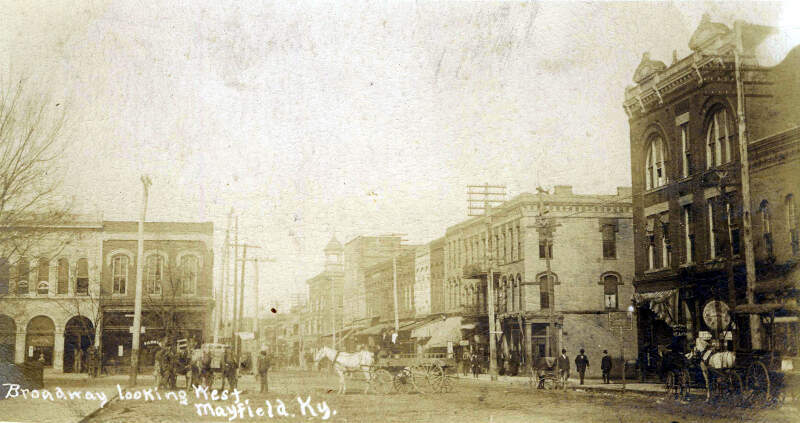 Mayfield is a home rule-class city in Graves County, Kentucky, in the United States. It is the seat of its county. The population was 10,024 as of the 2010 U.S. census. Bowling Green is a home rule-class city in and the county seat of Warren County, Kentucky, United States. 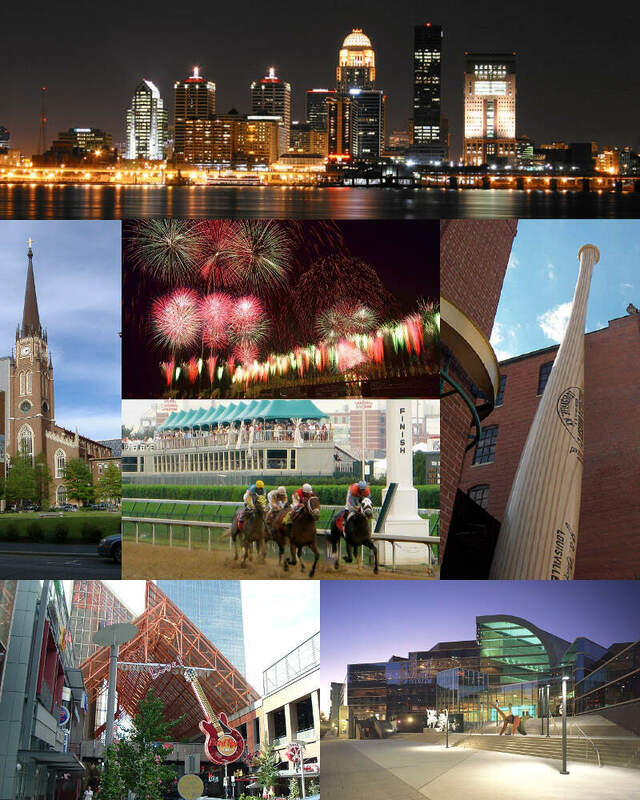 As of 2016, its population of 65,234 made it the third most-populous city in the state after Louisville and Lexington; its metropolitan area had an estimated population of 165,732; and the combined statistical area it shares with Glasgow has an estimated population of 218,870. 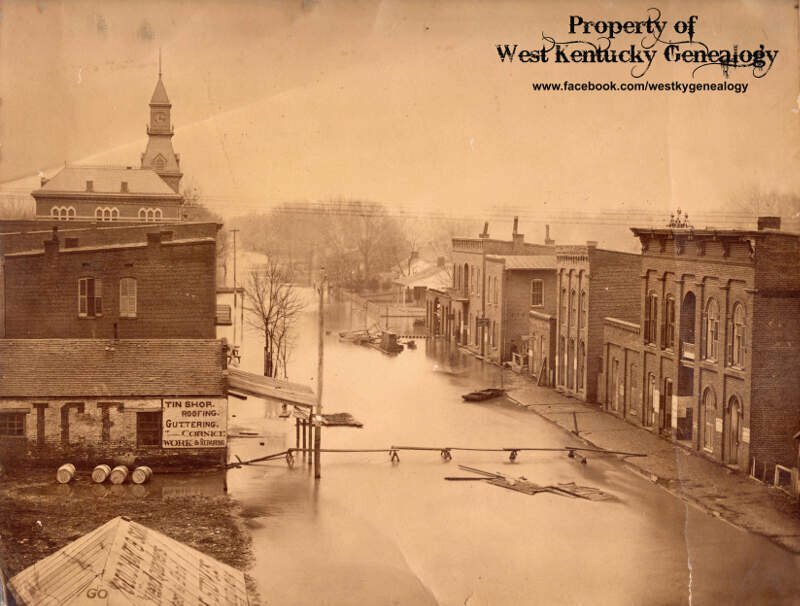 Lexington, consolidated with Fayette County and often denoted as Lexington-Fayette, is the second-largest city in Kentucky and the 60th-largest city in the United States. By land area, Lexington is the 28th largest city in the United States. Known as the “Horse Capital of the World,” it is the heart of the state’s Bluegrass region. 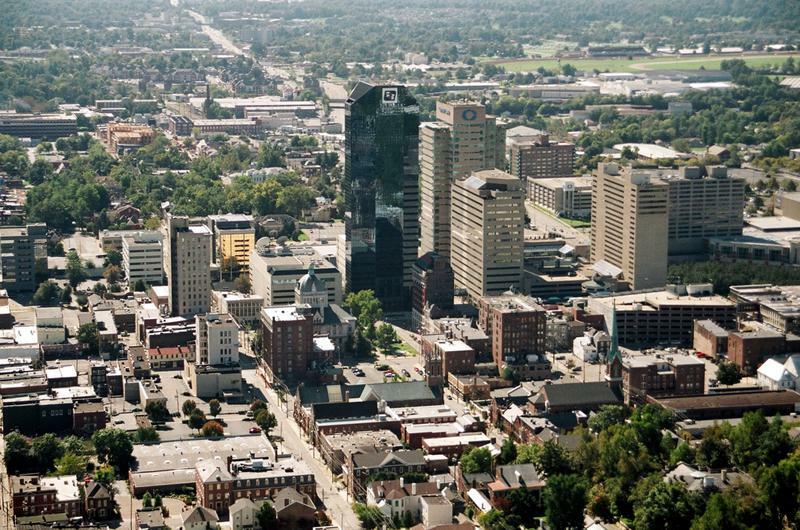 With a mayor-alderman form of government, it is one of two cities in Kentucky designated by the state as first-class; the other is the state’s largest city of Louisville. In the 2016 U.S. Census Estimate, the city’s population was 318,449, anchoring a metropolitan area of 506,751 people and a combined statistical area of 723,849 people. 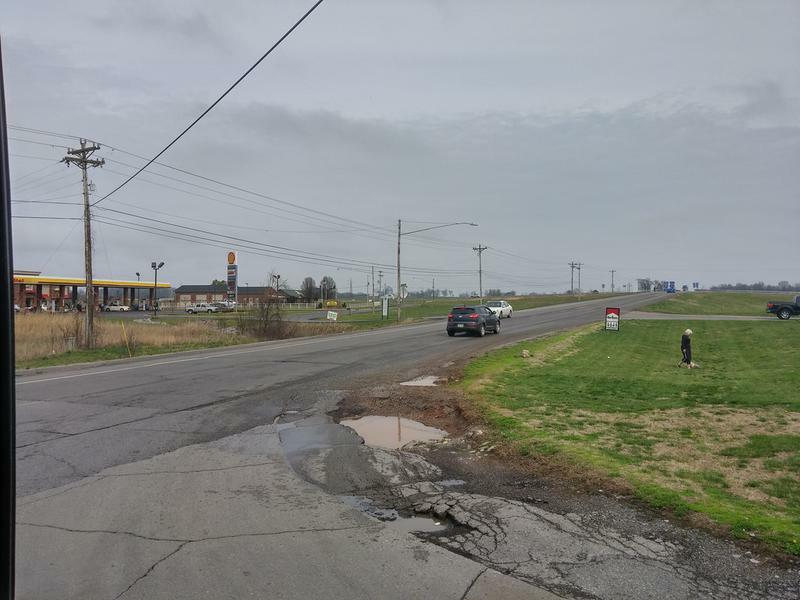 Due to constant increases in population, Lexington suffers some of the worst traffic congestion in Kentucky, because two interstates bypass the city to the north and east, resulting in a lack of freeways going through the most populated areas of the city. Paducah is a home rule-class city in and the county seat of McCracken County, Kentucky, United States. 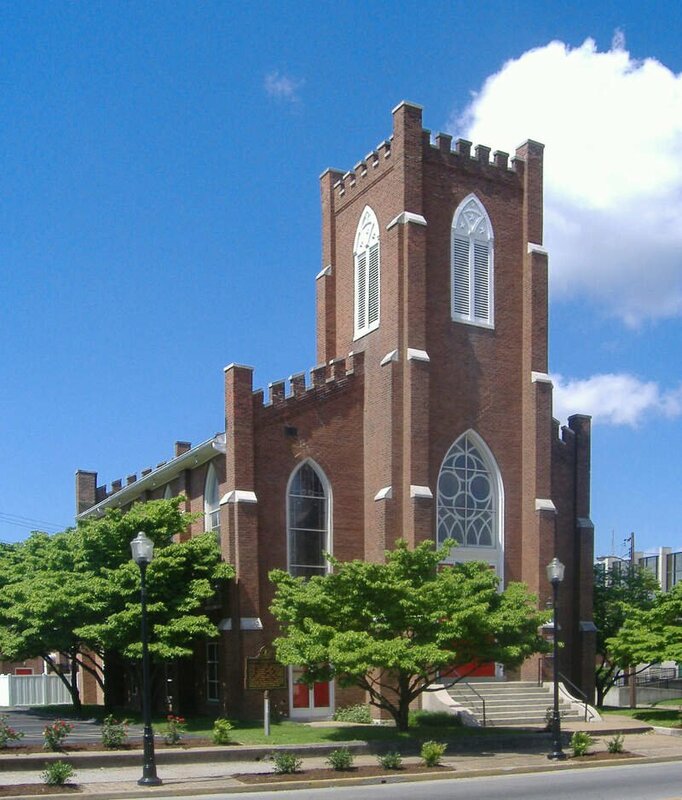 The largest city in the Jackson Purchase region, it is located at the confluence of the Tennessee and the Ohio Rivers, halfway between St. Louis, Missouri, to the northwest and Nashville, Tennessee, to the southeast. The population was 24,864 in 2015, down from 25,024 during the 2010 U.S. Census. Twenty blocks of the city’s downtown have been designated as a historic district and listed on the National Register of Historic Places. If you’re looking for a scientific breakdown of diversity across Kentucky, this is an accurate list.